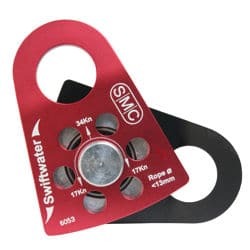 These side plates are also configured to work as a Prusik Minding Pulley and are precisely tensioned for easy one-handed operation and secure placement at any point along the rope. High quality sealed ball bearings help to provide the optimal efficiency that is so crucial in rope rescue systems. They help to reduce the performance-robbing resistance that is inherent in most multiple component systems and are not prone to failure under misaligned loads or with twisted gear that may occur with needle bearings. The wide and flat base maximizes the effectiveness of a Prusik hitch while a unique side plate formation allows the use of larger ropes in a compact pulley. The top hole accepts 2 large rescue carabiners or multiple small carabiners and allows the carabiners to be rotated freely and completely even while closed. Features Red and Black side plates. 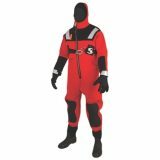 Designed to deliver comfort, warmth, and durability during marine operations, the MJ6214 T1 Classic Flotation Bomber Jacket's closed-cell foam insulation will provide flotation and in-water insulation to delay the onset of hypothermia in the event of water immersion. Coupled with functional design elements such as fleece-lined pockets and a storm flap, Mustang Survival's MJ6214 T1 Classic Flotation Bomber Jacket adds up to an unbeatable value. The MJ6214 T1 Version includes SOLAS reflective tape across the chest and around each wrist to provide increased visibility. 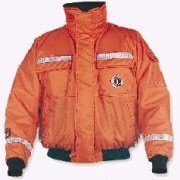 Suitable for the requirements of Industrial, Regulatory, and Military environments, the Classic Flotation Bomber Jacket is a standard piece of uniform for many government agencies.